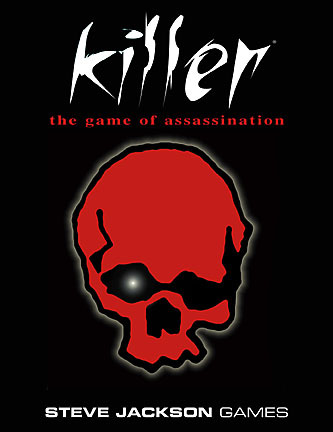 And why not play Steve Jackson’s game, Killer and turn it into civil disobedience? Abbie Hoffman would be so proud. In 1959, two friends of mine, Carl and Michael, staged a spy experiment at the small Ithaca, New York, airport. They were students at Cornell University. Michael was coming in on a little commercial plane from New York late at night. In the one-room terminal, Carl waited for him and paced around, wearing a British raincoat and sunglasses. Occasionally, he’d look at his watch and glance out at the airstrip. Michael, also wearing a British raincoat, descended the steps from the plane, and Carl walked out to meet him on the tarmac. They stood, head to head, for a few minutes, talking to each other. They gestured toward the terminal. On suspicion of seeming suspicious. Which was the point of the experiment.